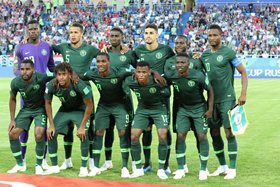 Chelsea hero Gianfranco Zola has accused Nigeria manager Gernot Rohr of being tactically naive in the wake of the national team's 2-0 loss to Croatia in their World Cup opener on Saturday night. The USA 1994 World Cup star reckons that Rohr would have made tactical and formation changes in the second half but the German failed to do so. Oghenekaro Etebo sent the ball into his own net in the 32nd minute to give Croatia the lead, and the Europeans doubled their advantage with nineteen minutes remaining after a defensive blunder by the inexperienced William Troost-Ekong. The Super Eagles will lock horns with Iceland in their second Group D fixture at the Volgograd Arena, Volgograd on Friday, June 22.